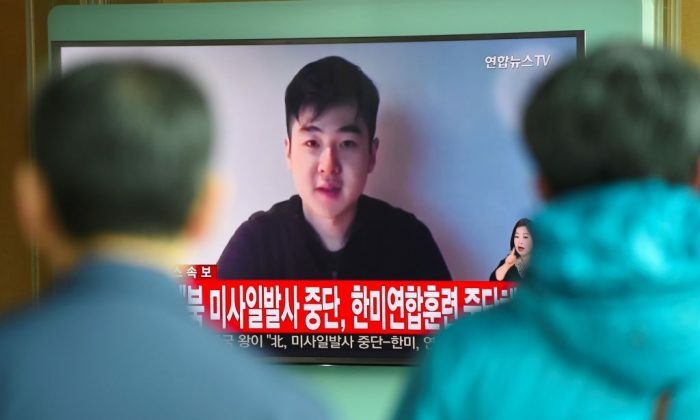 A plot to assassinate the half-nephew of North Korean leader Kim Jong-Un has been exposed, according to a source inside North Korea. 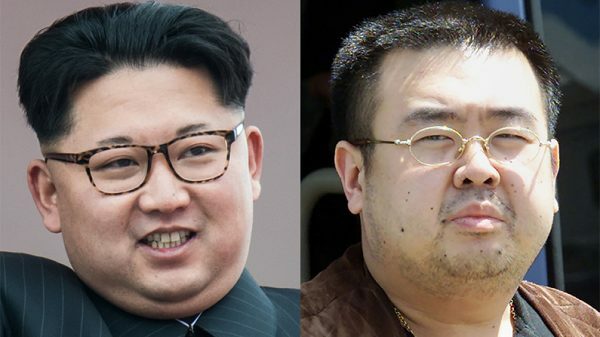 According to JooonAng Iblo newspaper, seven North Korean agents were involved in a plot to assassinate the son of Kim Jong-Nam, who was himself killed by poisoning earlier this year. Two agents were arrested in Beijing, reported the South Korean newspaper on Oct. 30, citing a source in North Korea. Kim Han-Sol, 22, is the son of Kim Jong-Nam, the estranged half-brother of the secretive North Korean communist party leader. “Special operatives belonging to the North’s reconnaissance team penetrated [China] to remove Kim Han-sol, but some of them were arrested last week by the Chinese Ministry of National Security and are currently under investigation at facilities outside Beijing,” a former North Korean official said, according to the paper. The official said the team of seven had been trying to identify the location of the North Korean leader’s half-nephew and establish an access route, JoongAng reports. The assassination plot was picked up by the more intensive security apparatus put in place for the Chinese Communist party conference. 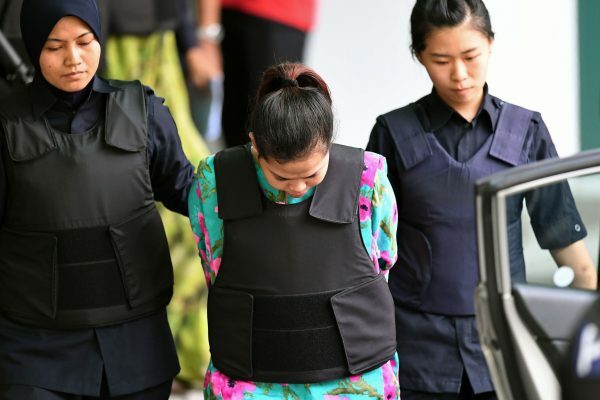 Two women are currently on trial for the murder of Kim Jong-Nam, who was killed at a Malaysia airport in February, with U.S. and South Korean intelligence agencies pointing the finger at North Korean agents. The North Korean leader’s family is surrounded with secrecy, with the flow of information in and out of the military dictatorship tightly controlled. That cloud of mystery has even followed members of the family outside North Korean borders. Han-sol is thought to be seeking legal refuge outside North Korea, according to analysts. However, he must do so secretly to avoid further provoking the leadership in Pyongyang. His father was reportedly considering officially defecting before he was killed. Kim Han-Sol currently lives in Macau at his mother’s house under “iron-like” protection, according to the Korean Herald. “He has been telling the people around him that he is glad that his family is safe, but the protection program is suffocating. He has also been consuming alcohol often during the daytime, while saying that he had more freedom working in Macau,” TV Chosun, a media outlet in South Korea, said on Oct. 9, according to the Herald. Han-Sol was born in North Korea and moved to Macau in the 2000’s, when his father was exiled. He has also lived in Europe. Han-Sol’s precise relationship with the North Korean regime and his immigration status are unclear. Despite a few unguarded remarks made in his youth about his uncle being a dictator, has not been explicitly outspoken about the regime. At the age of 17, in a 2012 interview for Finnish television, he said, “I’ve always dreamed that one day I would go back and make things better, and make it easier for the people there.” He also spoke on his dream of unification for North and South Korea. Han-Sol prompted a stir when a video of him appeared on March 7, following the recent death of his father. “My name is Kim Han-sol from North Korea, part of the Kim family,” he said in English, explaining that he was with his mother and sister. The authenticity of the video was initially doubted as it had been posted on a website which had mysteriously appeared only a few days earlier, apparently belonging to a newly formed organisation which offers protection and assistance to those escaping North Korea. Some believe the organisation, Cheollima Civil Defense, could be run by foreign intelligence agents or set up as a broker between high-ranking North Korean officials and foreign governments. Confusingly, Cheollima refers to a mythical flying horse but is commonly used as a propaganda symbol in North Korea. South Korean intelligence officials later verified that the person in the video was Han-sol, according to Yonhap and Reuters. Han-Sol theoretically has a more legitimate claim to inherit the leadership of the party than current leader Kim Jong-Un, because his mother is Korean. Jong-Un’s mother is Japanese, potentially weakening his position, according to an article in the New Yorker.